Film adaptation of Jeannette Wall's memoir about growing up poor with two dysfunctional, neglectful and narcissistic parents. "Happy families resemble each other; each unhappy family is unhappy in its own way." That is a Tolstoy quote from "Anna Karenina," and I think of it every time I see a movie about dysfunctional families or unhappy childhoods. However, this film is more about dysfunctional parenting and a childhood that was partly happy and partly really unhappy. Jeannette Walls' best-selling memoir told the story of growing up with a Mom (Rose Mary, played by Naomi Watts) who would rather work on one of her paintings than feed her four children. In fact, one day she was so distracted she let her very young Jeanette (Chandler Head) boil hot dogs on her own, resulting in her catching her dress on fire and becoming severely burned and scarred for life. And in addition to being a neglectful Mom, Rose Mary was also one of those long-suffering wives who just couldn't quit her man, no matter what he did or didn't do. Maddening. Rose Mary's husband and Jeanette's Dad, Rex (Woody Harrelson), moved the family constantly from one ramshackle shack to another, one step ahead of the bill collectors. He was an alcoholic and narcissist who didn't believe in sending his children to school and had no qualms about spending the family's food money on booze and cigarettes. He could be thoughtless and mean, but also charming and fun. One year, there was no money for Christmas presents so he told the children they could pick out a star as their very own. Somehow that worked. He was also a big dreamer who was always working on the plans for their "glass castle," a house he was designing that they would all live in happily ever after one day. One can't help but compare this film to "Captain Fantastic," which featured another narcissistic father who had strong opinions about how his kids should be raised, pontificated about every subject under the sun, but was basically full of crap. That's not a problem in and of itself. There are a lot of narcissistic men around who have an opinion on everything (and you know who you are), but when those opinions and ideas affect their children's lives negatively, that's another story. Rex was a charming con-man, but he was also neglectful and made his children's lives a living hell for much of their childhood. It wasn't until the kids were older that they realized his refrain of "This time will be different" was a lie, that they would never live in "the glass castle" like he promised, and if they wanted to get anything out of life, they needed to get the hell away from him. The story unfolds in flashback. It's the 80's and the adult Jeannette (Brie Larson) has made her way to New York City to become a successful gossip column writer for New York Magazine. She is engaged to a financial advisor (Max Greenfield) and is trying to live a "normal" life. But when she discovers that her parents have followed her to New York and are homeless, squatting in an abandoned building and dumpster diving, she is horrified and the memories come rushing back. If I thought "Captain Fantastic" was a bad Dad (and I did), Rex Walls wins the bad Dad contest hands down, but, ironically, Woody Harrelson does him proud. I have trash-talked Woody a bit in the past and said I wasn't a fan because I was sick of the characters he played which I likened to him just playing himself. You are now expecting a rant, aren't you? Well, my peeps, no such luck. I actually liked Woody in this. He was very good. He made me forget he was Woody. Naomi Watts was also excellent, though her character was maddening in her blindly following her ego-maniac of a drunken husband. I guess if she made me mad, that's called good acting. Likewise, Brie Larson as the adult Jeannette brings a sensitivity to the role. It's not the bravura performance which won her a Best Actress Academy Award for "Room," but she is a gifted actress and has a quiet presence in this. I usually rant about child actors who play overly precocious kids, something I can't bear, but you know what? I am not going to rant because these kids were all wonderfully believable and not a wise-cracker in the bunch. Especially notable were Chandler Head and Ella Anderson who played the youngest and young Jeannettes respectively, but all of the child actors (and for all four children there was a youngest, a young and an adult version) were believable. You felt their pain as they scrambled to find something to eat or clung together while their parents were fighting or Rex was drunk. You know I also tend to rant a bit about movie clichés and devices. Well, here's another one, one you find these days at the end of practically every movie that is based on a true story. And that's the epilogue. You know, that thing at the end where the real people are shown - "Lion" used it; "Detroit" used it. You see it all the time. But am I going to rant? Nope. Movie cliche or not, I actually like that, and it is especially effective in this film where real family pictures are shown at the end and then the actors are shown over the credits, each up next to the real person they played- Woody next to the real Rex; Naomi next to the real Rose Mary; Brie next to the real Jeannette. Very effective. My goodness! I think you have just witnessed the first Rosy the Reviewer's Rant-Free Review! Though I liked the film as a whole, there were some scenes I take issue with (and no, this is not a rant). Whether or not they happened in real life as per Walls' book, there were some scenes that didn't feel authentic and were over-dramatized - the arm wrestling scene when Jeannette suddenly really got into it and started screaming was way over the top and seemingly out of character; the kids attacking Rex's mother when they thought she was abusing their brother didn't seem like something little kids would do; and Jeannette sharing her true life story with total strangers at a business dinner after lying for years and then abruptly leaving a dinner and running down the street to profess her love for her father was way over-dramatic. However, like I said, I did enjoy this film. Directed by Destin Daniel Cretton and adapted by him and Andrew Lanham from Walls' best-selling memoir, the film highlights a very strange thing about parent-child relations. In so many cases, no matter how bad their childhoods, no matter how neglected they might have been, children still love their parents. Rosy the Reviewer says...if you ever worried you were not a good parent, watch this and take some comfort that you weren't THIS BAD!!! A mockumentary on the rise and fall of a pop star in the vein of "This is Spinal Tap." But is it as good? Satires are always fun if they are well done. This one isn't. 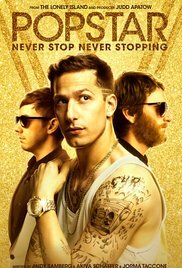 Connor (Andy Samberg), Owen (Jorma Taccone) and Lawrence (Akiva Schaffer) are friends from a young age and form a boy band - The Style Boyz - but, as happens with most bands, arguments and recriminations break them up. Lawrence leaves and Conner goes off as a solo act calling himself Connor4Real with Owen as his DJ. His solo career starts out well, but then fails. So he tries to think of what he can do to revive his career: release another song? Get a weird hair cut? Take an ugly teenager to her prom? Connor starts to implode. Connor's retinue includes a guy who routinely punches him in his nether region to remind him where he came from; Zippy (Bill Hader), his guitar tech, who enjoys flat-lining; Tyrus Quash (Justin Timberlake in an uncredited role), the tour chef; a tortoise named Maximus who Connor considers his best friend; and his manager, Harry (Tim Meadows), who suggests that Connor go on tour and have Aquaspin, a manufacturer that makes home appliances, sponsor the tour. However, the company's appliances begin playing Conner's songs whenever someone uses them, causing a nationwide power outage that generates a wave of backlash against Connor. Connor's opening act for his tour is a rap star, Hunter the Hungry (Chris Redd), and when Hunter starts overshadowing Connor, Conner's publicist, Paula (Sarah Silverman), suggests he pull a publicity stunt to deflect attention from his humiliation. 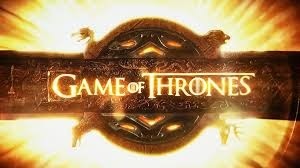 Conner decides to propose to his girlfriend, Ashley (Imogen Poots,) on live TV, a stunt that includes a pack of trained wolves and a performance by Seal. However, the music upsets the wolves and they break loose, mauling Seal and members of the audience. The backlash against Conner grows, and Ashley breaks up with him and starts dating Seal, who sues Conner for his injuries. Connor starts to implode again. Naturally there are lots of songs, one of which likens the Mona Lisa to the Garbage Pail Kids and in one, uh, rather gross scene, someone "goes to the bathroom (I'm trying to be delicate here)" in the Anne Frank house. So if any or all of that sounds funny to you, you might like this film, but if you were hoping for another "This is Spinal Tap," hope again. "Spinal Tap" captured every cliché associated with heavy metal bands, and I think Sandburg was hoping to capture that same zeitgeist of being a famous pop/rap star but it just didn't work. Schaffer, Taccone and Samberg, who together produced those SNL Video Shorts under the name Lonely Island, wrote the screenplay and Schaffer and Taccone, writers on SNL, also directed. All of this should have come together for a very funny movie, but, sadly it really didn't. I realize that Andy Samberg is an acquired taste. He can be really out there, but I actually like him. He made a name for himself as a regular on "Saturday Night Live" and with those video shorts and song parodies. He can be very, very funny. Who can forget his SNL video short with Justin Timberlake, "D*** in a Box"? I think he was trying to bring that same sensibility to this feature film, but his video shorts on SNL are one thing. If this film is any indication, they don't translate very well into feature films. Along with those SNL alums, there are cameos starring Ringo, Usher, Mariah, 50 Cent, Simon Cowell and other stars who all weigh in to give this mockumentary a real documentary feel. Even Emma Stone shows up. If you watch this film, hang in there until the end because the scene starring Michael Bolton is really funny. He makes fun of himself and I didn't think he had that in him. So with all of this star power helping Andy out, what happened? I don't know. I'm not a pop star. I am old. This movie was probably aimed more at teens and twenty-somethings, but let's just say I do really like parodies and satires, but I didn't laugh and that's my criteria for liking a comedy. Rosy the Reviewer says...if you aren't a pop star and you are over 30, you probably won't laugh either. A young American girl takes a job as a nanny for an English couple only to discover that their little boy is a doll. Oh, but what a doll. 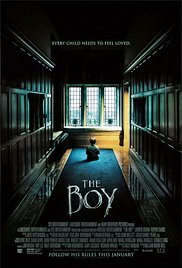 In the tradition of "Annabelle: Creation (a horror film currently in theatres)," and other demonic doll movies, the little boy is a doll who seems to come to life to terrorize our young nanny. Relative unknowns star in this thriller/horror film that is heavy on atmosphere. The Brits are very good at atmosphere. It takes place in a creepy, creaky mansion and creepy, creaky mansions are always good for atmosphere. When Greta Evans (Laura Cohan), a young girl from Montana, arrives in London at the home of Mr. and Mrs. Heelshire (Jim Norton, Diana Hardcastle), they are not at home and she is told by the maid to wait. While waiting, she hears a noise coming from upstairs and in true horror movie fashion, she has to investigate, right? Who does that? You arrive at your new job in someone's home, you are told to wait but instead you wander around their house? Greta, where are your manners? As she is snooping around, she is startled by a handsome young guy, Malcolm (Rupert Evans), who is delivering groceries. Gee, I wonder where that's going to lead? When Mr. and Mrs. Heelshire return home, they introduce Greta to Brahms, their little boy. When Greta realizes that "the boy" is a doll, she starts to laugh (those manners again, Greta!) until she realizes this is no joke. She is going to be a nanny for a doll. Three hours of lessons - "Read in a loud, clear voice." Then the Heelshire's tell Greta that they are going on a vacation and leaving her alone with Brahms. Before they leave, Mr. Heelshire says to Greta: "Be good to him and he will be good to you" followed by some ominous music. Now Greta not only doesn't have very good manners, she is not much of a nanny either. When alone with Brahms, she puts him in a chair but becomes so creeped out by him that she throws a blanket over him, starts drinking wine and falls asleep. Methinks Miss Greta has missed little Brahms' bed time. When Greta wakes up, she notices that the blanket she threw over Brahms is now on the floor and again, creeped out, she picks Brahms up and throws him in a room. Let's say she basically does not follow the rules in caring for Brahms. At that point, I went "Oooh, Greta, not smart." When Greta calls her sister, Sandy, we discover that Greta has an abusive ex-husband who is looking for her. I have a feeling we are going to see the ex-husband at some point too. So poor Greta. An abusive doll AND an abusive husband. Remember Malcolm, that guy delivering the groceries? Well, he tells her the story. The real Brahms died in a fire 20 years ago when he was eight, and after that, the doll showed up. But let's forget about Brahms. Malcolm asks Greta to go on a date with him and she accepts and they plan to get together later in the day. In the meantime, Greta notices the stairs to the attic are down and, now I ask you? Would you go up into a dark attic when you are staying all alone in a spooky house with a creepy doll? But yes, she goes up into the attic - "Hello? Is anybody here?" - and, of course, she gets locked in the attic where she discovers memorabilia and pictures of Brahms. Then the stairs mysteriously come down again, and when she gets back to her room, it's all torn up and she finds Brahms sitting on the bed with the rules next to him. When Malcolm returns, she finds out more about little Brahms and that the real Brahms wasn't such a good little boy. After a series of strange events, Greta starts to believe that the spirit of Brahms really does live in the doll, and she is somehow mesmerized by him and starts taking care of him and also basically starts to lose it. Is she going crazy? Yes, Greta was running from an abusive ex-husband who inconveniently shows up and then all hell breaks loose. And guess what - the Heelshires weren't really on vacation! Cohan and Evans are an engaging couple and Jim Norton and Diana Hardcastle are excellent character actors and it all adds up to good horror fun, if a little on the wimpy side. Directed by William Brent Bell and written by Stacey Menear, this is one of those horror films that relies on people and things popping out and making you jump. There is also a big twist at the end that is actually really over the top, and I mean really so over the top that it's laughable and could catapult this film into cult classic status. Rosy the Reviewer says...as far as horror films go, this plays more like a Lifetime movie, so if you like horror but are kind of wimpy about horror, this one's for you. Through a series of vignettes, we see a romance between two young Parisians unfold - 1960's style. Director Jean-Luc Godard is a French writer and director associated with the French New Wave film movement of the 1960's and one of its most radical and influential. 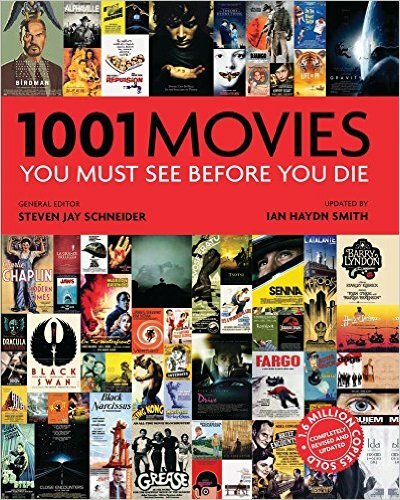 In 2002, the British film magazine "Sight and Sound" listed him number three in their ten most influential film directors of all time. His films have inspired Martin Scorsese, Brian De Palma, Quentin Tarantino, Robert Altman and other film directors. And now I have to confess...I don't get it. Or maybe I should say I don't get him. I find his films a bit difficult. He is one of those directors who likes to linger his camera on a face and let the dialogue and action happen around it, never leaving his subject's face. In fact, some of his devices seem forced, as if he is presenting something just to present something different. The film begins with Paul (Jean-Pierre Leaud) striking up a conversation with Madeleine (Chantal Goya) in a café, and through a series of 15 vignettes, or chapters, all with strange, unfathomable titles, their relationship grows. He is just out of the military and in a job he hates and she wants to be a singer. At the end of the first vignette, a man and a woman in the café start fighting. The man runs out and the woman shoots him. See what I mean? What? Never explained. Later, out of the blue, a guy gets stabbed in front of our characters. Again, never explained. Godard also ends each scene with the action continuing, but in complete silence or with some narration by Paul or Madeleine or maybe a political slogan. But the title explains it all. Masculine? Feminine? We don't have a clue about each other. We are basically at odds. Men and women are different. Duh. I knew that already. The characters all like to read to each other or talk at each in political slogans, a device that appears to show the lack of communication between men and women, not to mention the vacuousness of the very young. Madeline is your typical swinging 60's young girl with the bangs and the mini-skirt. She is also a bit of an airhead. Paul is morose and existential with a sort of crazed look when he settles his gaze. All very 60's. All very shallow. They and their friends dabble in politics and philosophy but don't seem to be going anywhere. But I guess that's the point Godard is trying to make, and I would also guess that this movie had more resonance in the 60's than it would have today. One fun element: If you watch carefully, you will catch a quick glimpse of Bridget Bardot sitting in a café. I have a good eye for these things. I checked IMDB later and yes, it was she, in an uncredited cameo. 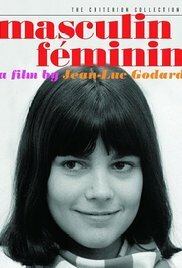 Why it's a Must See: "Godard conceived this film...as an unempathetic, sociological investigation. Its view of gender roles verges on the misanthropic: Girls are empty glamor-bunnies, would-be pop stars, pawns of a consumerist society; boys are posturing, graceless, wannabe revolutionaries. All their stated ideals seem as empty and transient as their intimate relationships...And yet there remains something affecting, the fleeting residue of Godardian poetry..."
Rosy the Reviewer says...all very French, all very 60's, all very incomprehensible and boring. When the first fire started on the night of November 12, 2012, no one thought anything of it. After all, it was an abandoned house. But by the time there were 67 fires, the residents of Accomack County were scared. Accomack County, Virginia, is part of what's known as the Eastern Shore, a small peninsula separated from the rest of the state by the Chesapeake Bay. It stretches only 14 miles at its widest spot but covers hundreds of square miles altogether. The northern border is Maryland and a gas station there called Dixieland marks the entrance to Accomack with a big sign that says "The South Starts Here." The Eastern shore was once a prosperous agricultural area. Still very rural, everybody knows everybody. There are the "Born Heres," which is self explanatory and then there are the "Come Heres," those people who moved to Accomack and have no real history there. Like many rural areas in the United States, Accomack County was fading. Not many jobs, not much to do. Charlie Smith was a Born Here and he was also a bit of a loser, a petty criminal and drug user. He also wasn't too smart and he knew it, but people liked him because he meant well. Things just didn't seem to work for poor Charlie. Tonya Bundick was also a Born Here, but had had a troubled youth and left Accomack for a time but when she returned she had changed. She was confident and beautiful and liked to dress up and dance at Shuckers, the local bar. Somehow, Charlie and Tonya found each other, a perfect example of two opposites attracting, and the two fell in love and together they were a fiery combination - literally! How did these two get away with setting all of those fires for so long? Though we know early on who the arsonists are, Hesse skillfully moves the narrative along in a way that keeps you wanting to know: Why? But this story is more than the story of an ill-fated love story, arson and crime. It also serves as a metaphor for America's changing landscape. 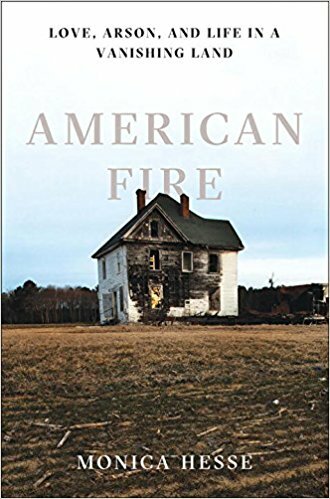 "All of these fires could have happened only in Accomack, a place with empty, abandoned buildings, prominently signally a fall from prosperity... Except maybe it could have happened in Iowa, heart of the heartland, where rural citizenry has been decreasing for the past century. Maybe in southern Ohio, where emptying factories led to emptying towns. Maybe in eastern Oregon, where rural counties had aged themselves almost out of existence. Maybe it could have happened anywhere." "By the numbers Accomack could look like a desolate place to live...But...To residents, statistics could not account for the deep feeling of belonging that came from being able to find your surname in three hundred year old county records. They couldn't account for how clean the air felt and how orange the sun was setting over Chesapeake Bay...So much of life is intangible, and places don't feel like they're disappearing to the people who are living there..."
"[There are] endless metaphors for a dying county in a changing landscape. There were endless metaphors that went the opposite way, too; rural life as a fairy tale, better than the rest of the country. The reality is probably somewhere in between. The people who lived in Accomack were happy to live in Accomack. It wasn't small, it was close-knit. It wasn't backward, it was simple. There weren't a hundred things to do every night, but if you went to the one available thing, you were pretty much guaranteed to run into someone you knew. As economies change, as landscapes change, nostalgia is the only good America will never stop producing." This is a well-researched true crime story, but it's also well-written and compelling. Unlike many true crime nonfiction books, Hesse doesn't overly dwell on the trial itself, which sometimes can bog down the story. What is of interest in these kinds of books are the people and what compelled them to do what they did. Hesse does an excellent job of developing the characters and pulling us along with their stories. Rosy the Reviewer says...one of the best true crime books this year. 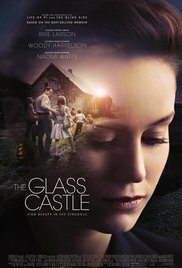 The glass castle is on my short list. Hey there, my url has changed over at livig richly in retirement. Can you use, this one on your sidebar? www.richlyretired.blogspot.com. Bless you. (it should connet if you click on my name in this message. Thanks for letting me know, Barb. I will fix that because I am a regular reader of your blog. I would love it if you would add me to yours. Oh and by the way - Friday I review "Wind River" and I know Jeremy Renner is your guy. You might enjoy what I have to say about him considering I was never really a fan.